The world is round! 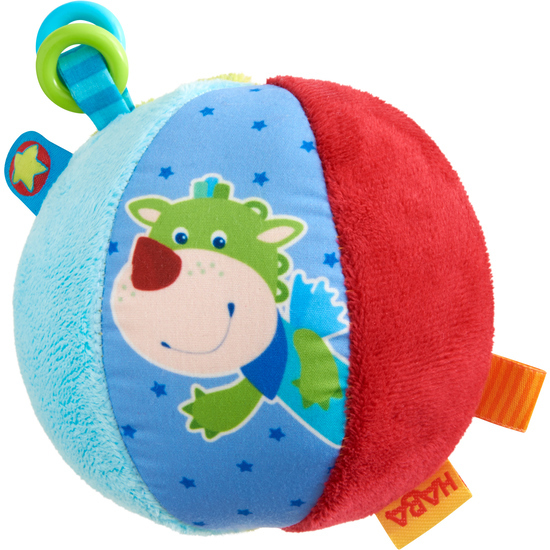 Ad there’s much to explore with the Discovery Ball Mouse Merlie & Dragon Duri. When little children crawl after the ball, the little bell rings merrily. And the variety of surfaces and colors supply fascinating visual and tactile surprises.